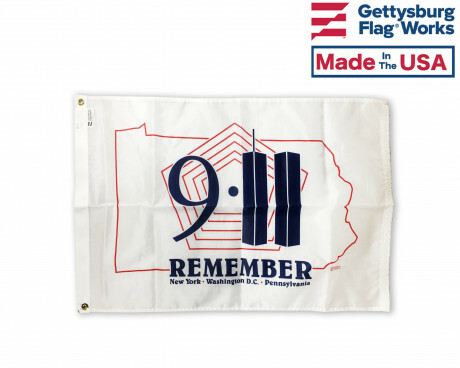 Gettysburg Flag Works is proud to have been chosen by the State of NY to create not only the original 9/11 memorial flag flown at Ground Zero in NYC but also as the makers of the official 9/11 commemorative flags for sale to the public. They are even for sale at the National September 11 Memorial and Museum in New York City. 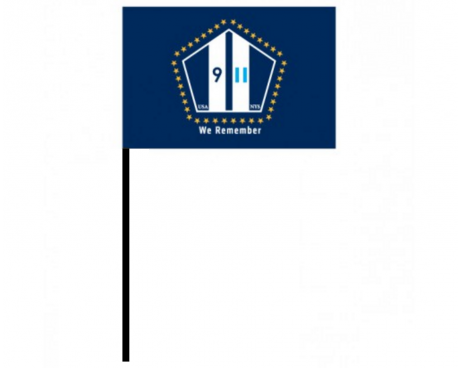 In addition to the NYS 9/11 Memorial flag, we also offer a variety of other memorial flags. Our Flag of Honor memorializes each name of those who were killed in the September 11 terrorist attacks and the 9/11 Flag of Heroes bears the names of each emergency responder. 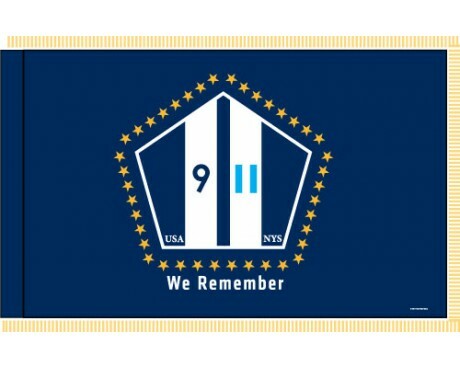 We also carry a variety of other commemorative 9/11 products including 9/11 lapel pins, September 11th stick flags, 9/11 caps and 9/11 indoor flags. 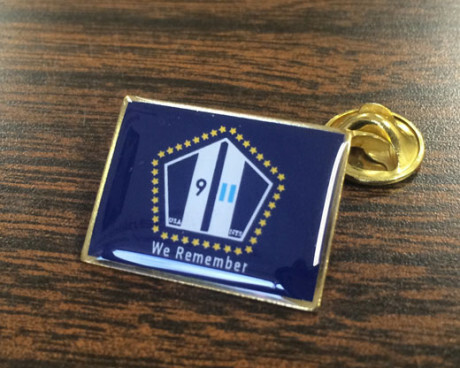 Other items to help keep the memory alive include hats and flag pins. Each time you look at one of these 9/11 memorial tributes you will be reminded on those who were killed, the emergency workers who ran towards the danger and the American response to such tragedy and terrorism in the days, weeks and years to follow. 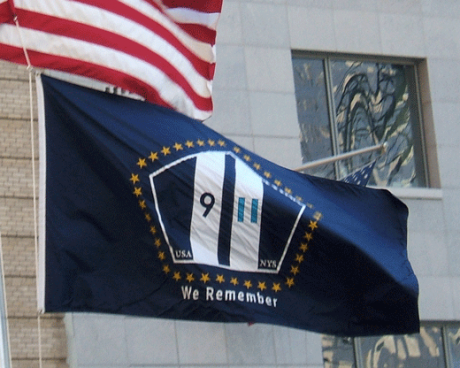 The official 9/11 commemorative flag is beautiful quality printed replica of the original sewn flags used at the dedication ceremony on 9/11/2011 in New York City for the families of those lost in the World Trade Center attack. Made in the USA. September 11th was no doubt a heartbreaking day in our nation's history where too many innocent men and women lost their lives. 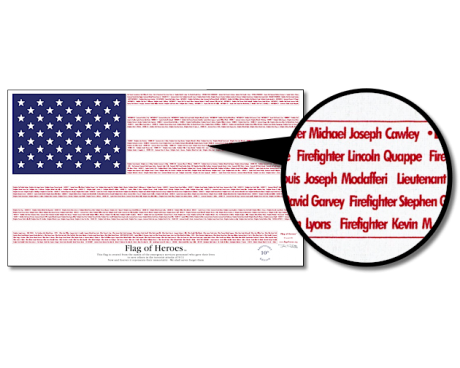 Pay tribute to the first responders, firefighters and heroes who fought and lost their lives this day, to the survivors and family members affected on this tragic day with a commemorative 9/11 flag. 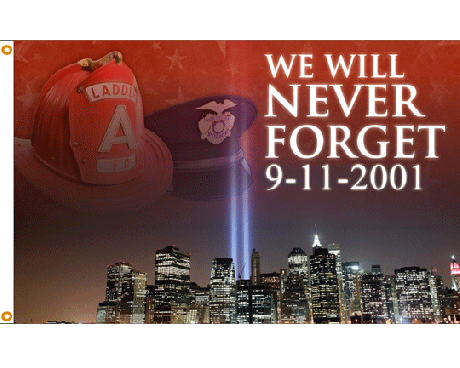 It’s a small and simple gesture to show that you will never forget and will always remember the heroes of 9/11. 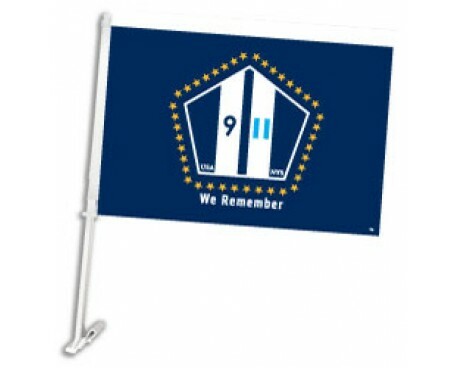 We can also create a custom 9/11 flag that is can be personalized however you like. 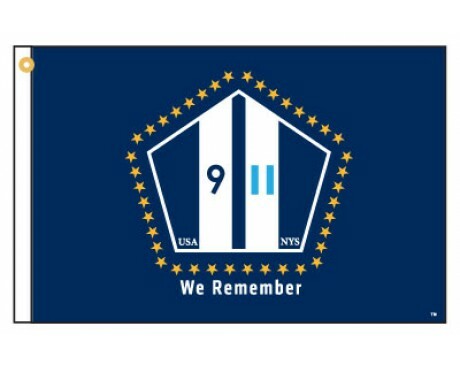 Show your respect for all the unfortunate victims of the tragic attack that happened on September 11th with a custom 9/11 flag. Have questions about any of our products? Please give us a call at 1-888-697-3524 or contact us online and we will respond to you as soon as we can.